Fall. Pumpkins. They’re co-dependent. You can’t have one without the other. It’d be a crime against humanity. This weekend, I ended bringing dessert-type foods to three different occasions. I made a massive batch of cookies that covered two of the events, and a pumpkin roll for the third. First, the cookies. Let’s talk about these cookies, shall we? 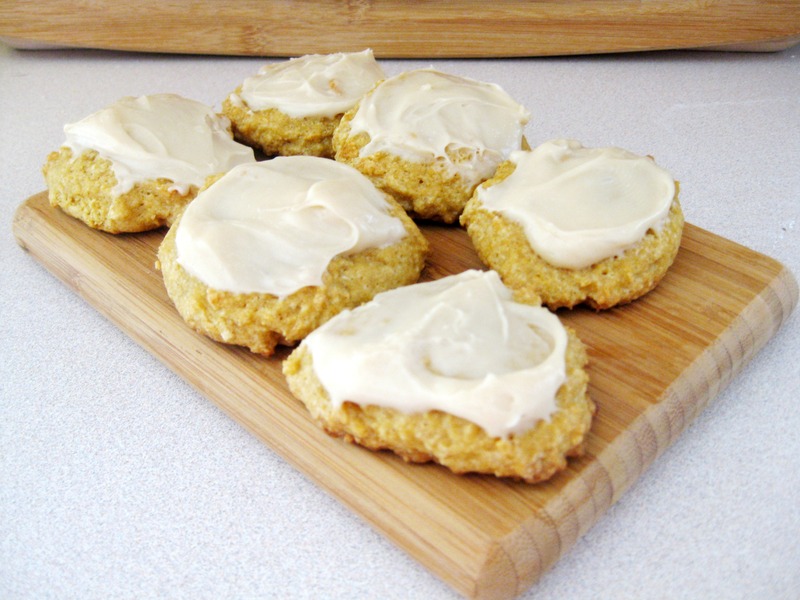 I am completely content with this recipe, and will look no further for future pumpkin cookie making endeavors. It’s perfect! I have arrived. Head on over to Keep it Luce to check it out. Second, I made a pumpkin roll. 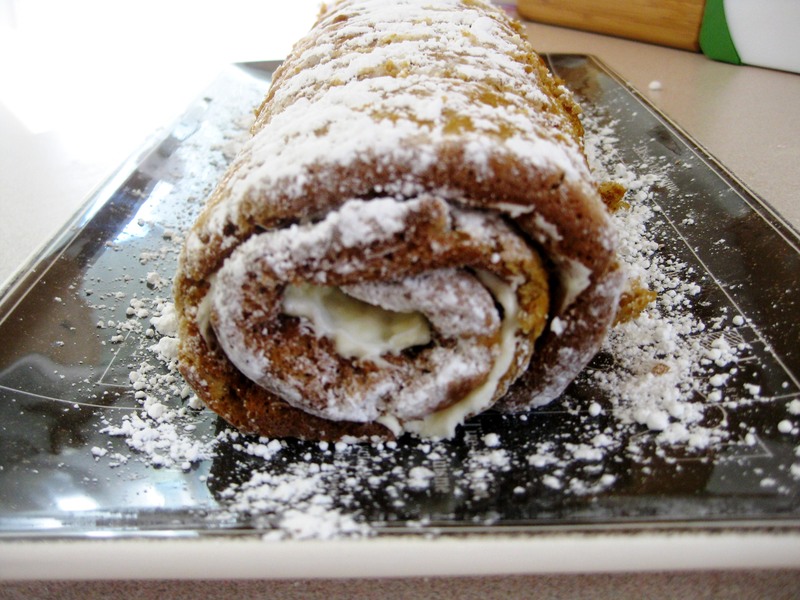 A dear, college roommate and I loved to make pumpkin rolls when we lived together, and as such, brought them to many a gathering. We first found the recipe on the back of a Libby’s Pumpkin label, and, after the first attempt, knew we had fallen upon something delightful. As I was lacking a can of Libby’s and didn’t feel like running to the store, I use the recipe from Taste of Home. It lived up to the standard! Don’t be scared of making a cake roll. It isn’t difficult, and makes for a great make-ahead dessert, as you serve it cool. You can even freeze it, and serve it nearly frozen. Just take it out of the freezer 15 minutes before dessert, slice it, and serve it. It doesn’t get any more homemade/convenient than that! I wanna know: Have you made any full, fall flavored treats this year? All this massive amount of cooking and the poor dude across the street left standing dessert-less!! Poor man across the street! Next time, I’ll make better choices and I’ll deliver.